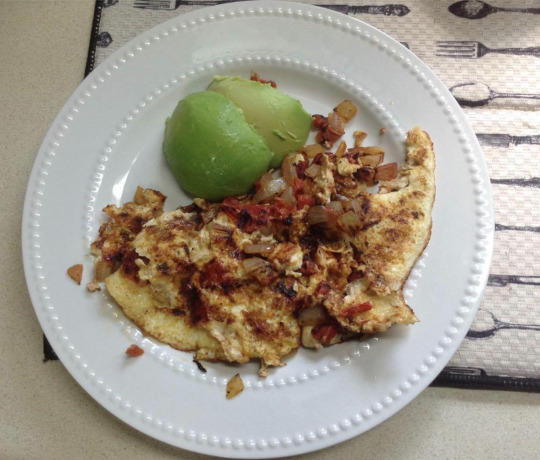 I have a full day of eating for you guys to see today-back to macro tracking! I woke up this morning at 3 am with back pain like you can’t even imagine! I literally had to roll off of the bed. Wednesday, when I was deadlifting I went fairly heavy being that it was my first heavy session in about 4 weeks. I felt it tighten up a good bit, so I took a moment and stretched out my hip flexors and got right back to my workout. I woke up yesterday morning and it felt a little tight but nothing extreme, so I went for a 4.5 mile run. Unfortunately, at the end of my run, the bottom literally fell out of the sky immediately into my first stretch. Well, like a bonehead, once I got back home, I didn’t take the time to stretch thoroughly and today I am paying for it. 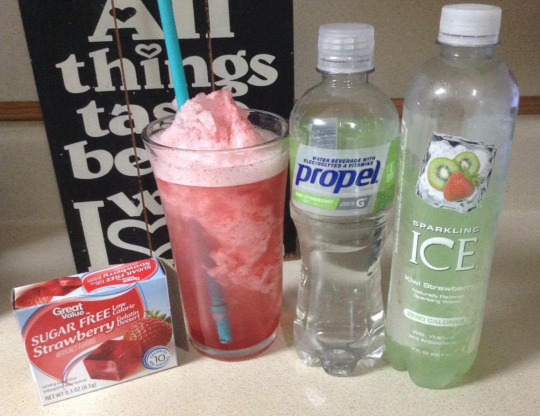 A Mid-morning refresher: This is my version of a strawberry slushy. 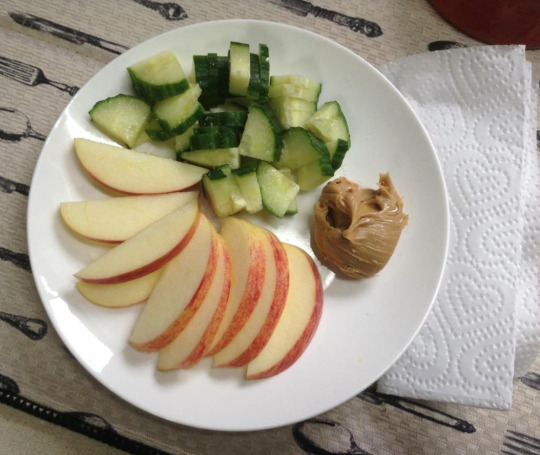 Along with my slushy I had a fruit plate of apple slices, cucumbers and peanut butter. 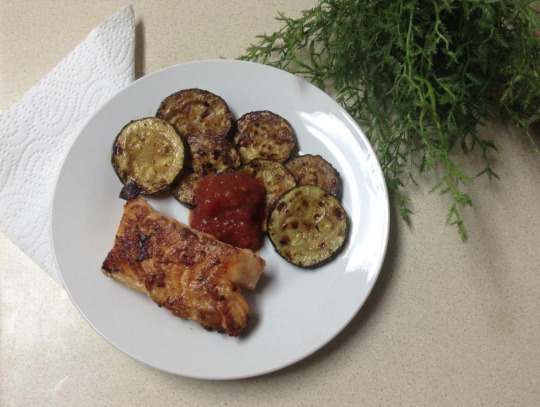 For lunch I had grilled salmon and zucchini. 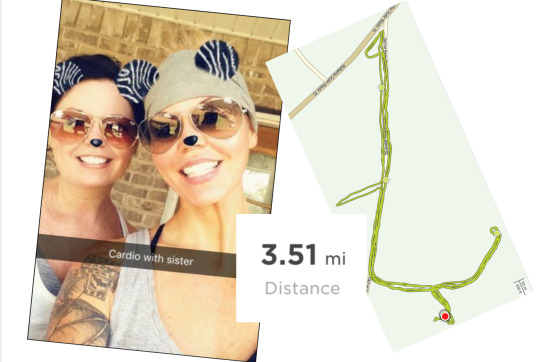 After laying around for a good portion of the day, sis and I decided to get out of the house for some low intensity cardio. I needed the movement in order for my hip flexors to loosen up, so I could get a good and thorough stretch in after. I worked on stretching my hips and lower back for a good 15 minutes. It was painful, but after, I could feel a lot less tension. Tomorrow should be much better! 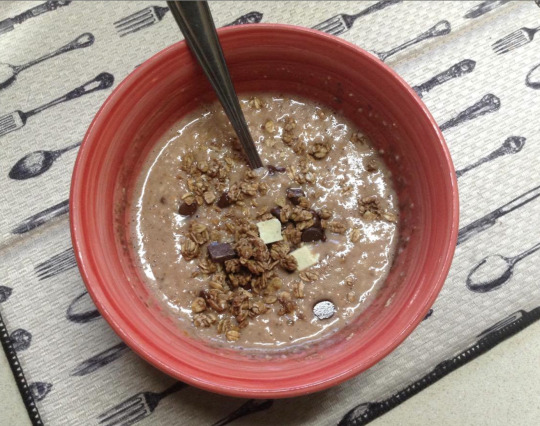 My mid-afternoon snack was a bowl of protein oats (chocolate), topped with a pinch of granola, cinnamon and stevia. 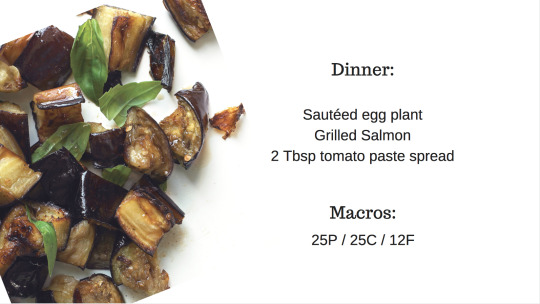 Tonight’s dinner was eggplant cooked in coconut oil, grilled salmon and tomato paste. 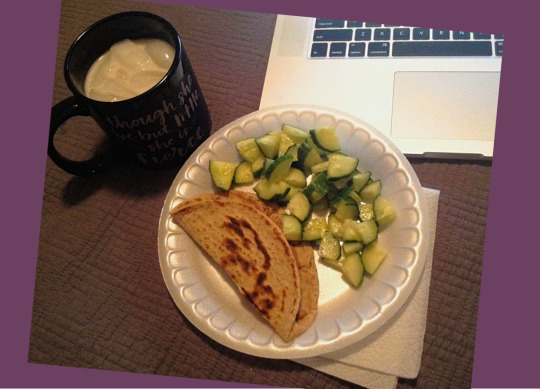 My evening snack was a pita wrap with PB2, cucumbers and a glass of almond milk. I was short on my carbs today, so I did sneak back to the kitchen later for some graham crackers and wheat thins. Well, day one of back to tracking macros was a success. I hope you all enjoyed seeing a full day of eating.